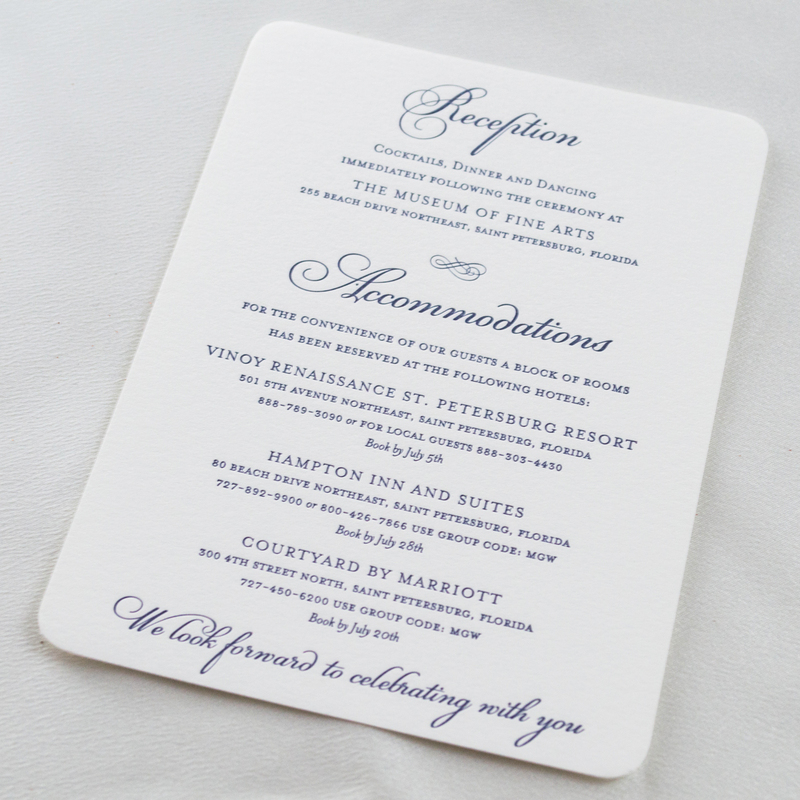 Pure simplicity and elegance were the inspiration of the classy, Florida-inspired letterpress wedding invitations. 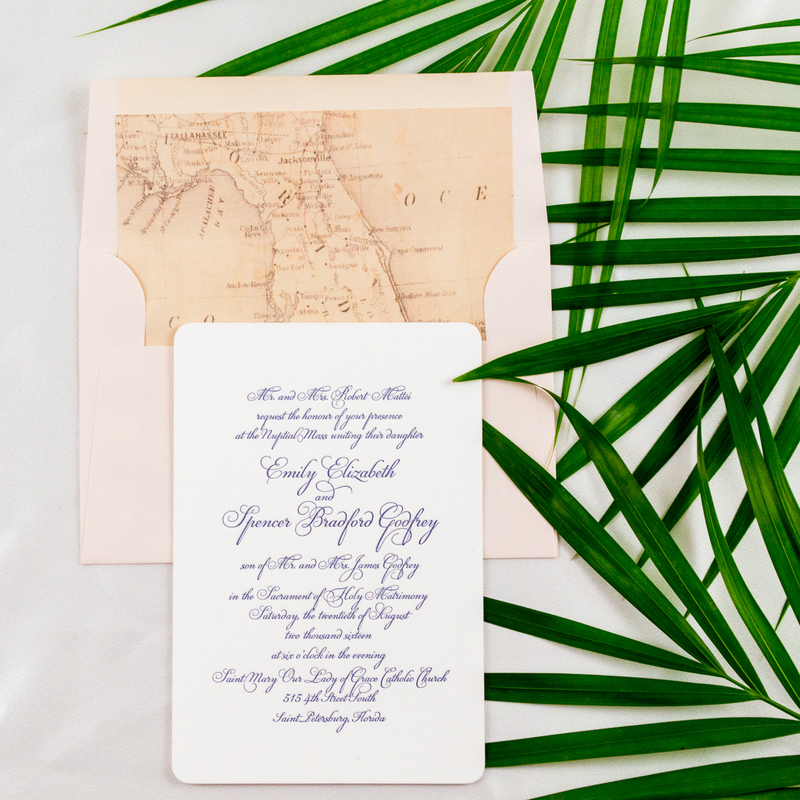 For their wedding invitations, this couple envisioned an elegant and traditional design with subtle Florida-inspired details. 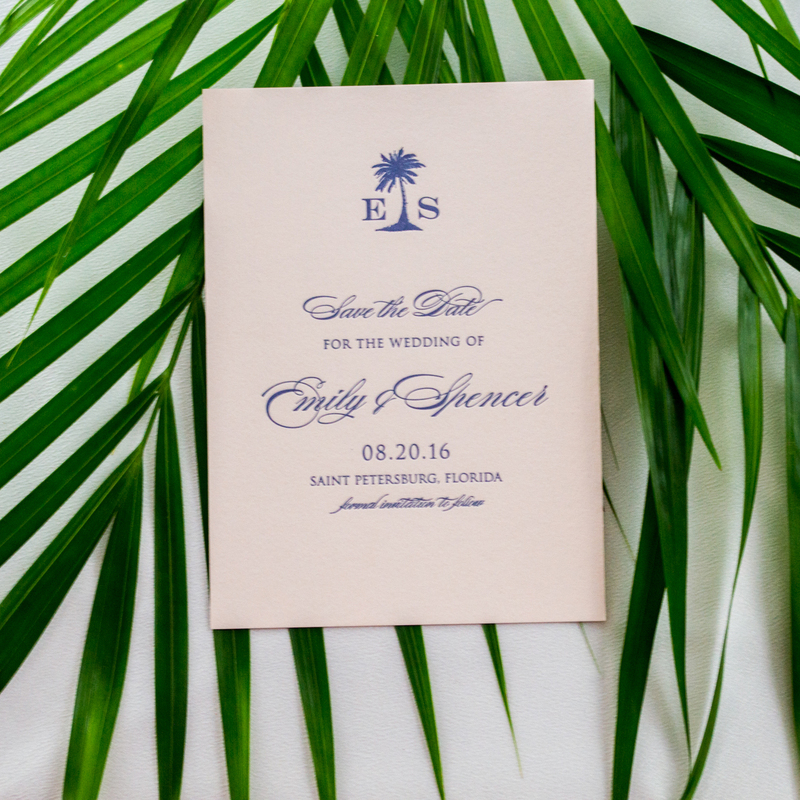 To bring their vision to life, we designed a palm tree monogram for their Save-the-Date and created a classic design with a focus on fine calligraphy for their invitations. 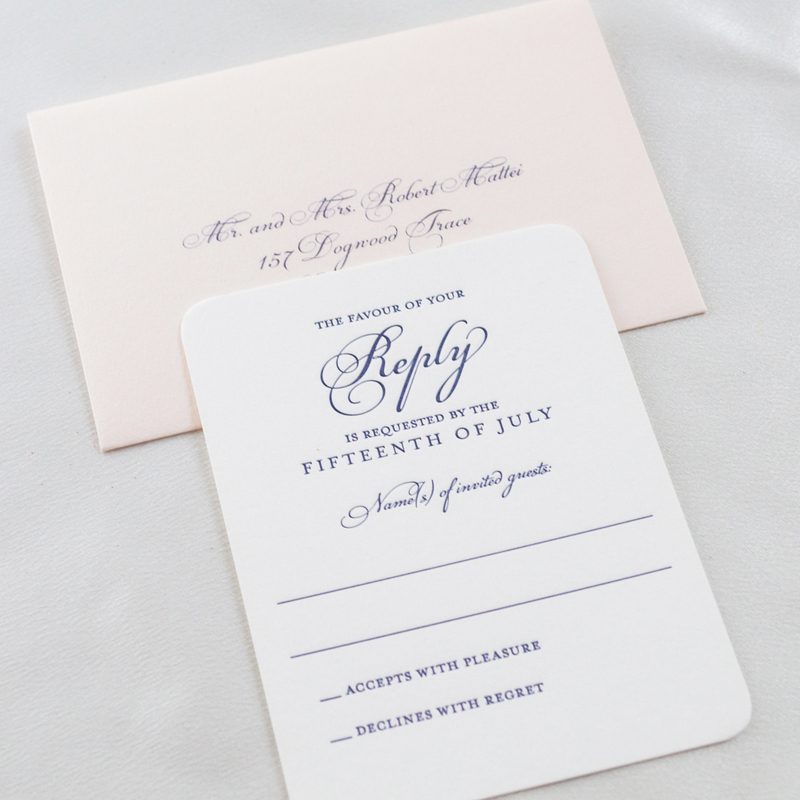 To incorporate their wedding colors, we used pretty blush paper stock for the Save-the-Date cards and paired the invitations with blush paper envelopes. 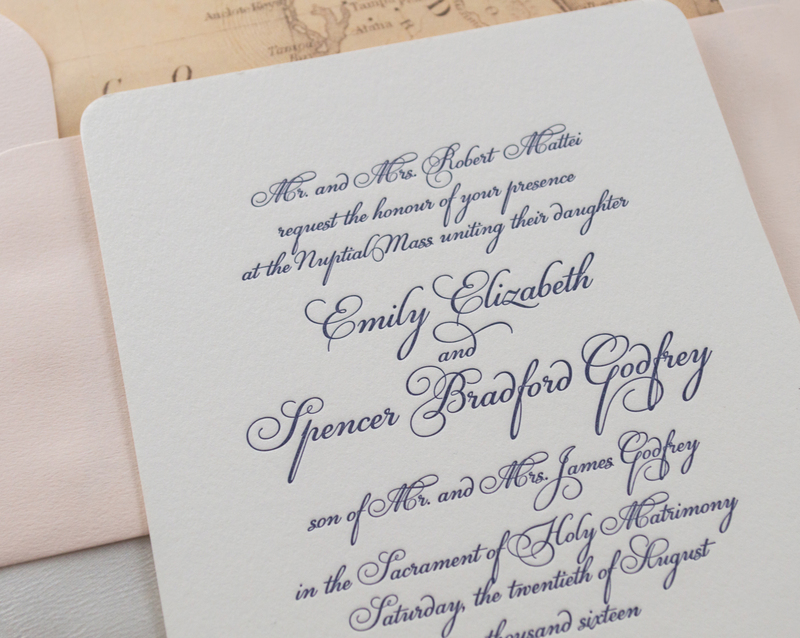 We also letterpress printed their Save-the-Date cards an each invitation suite in navy ink. 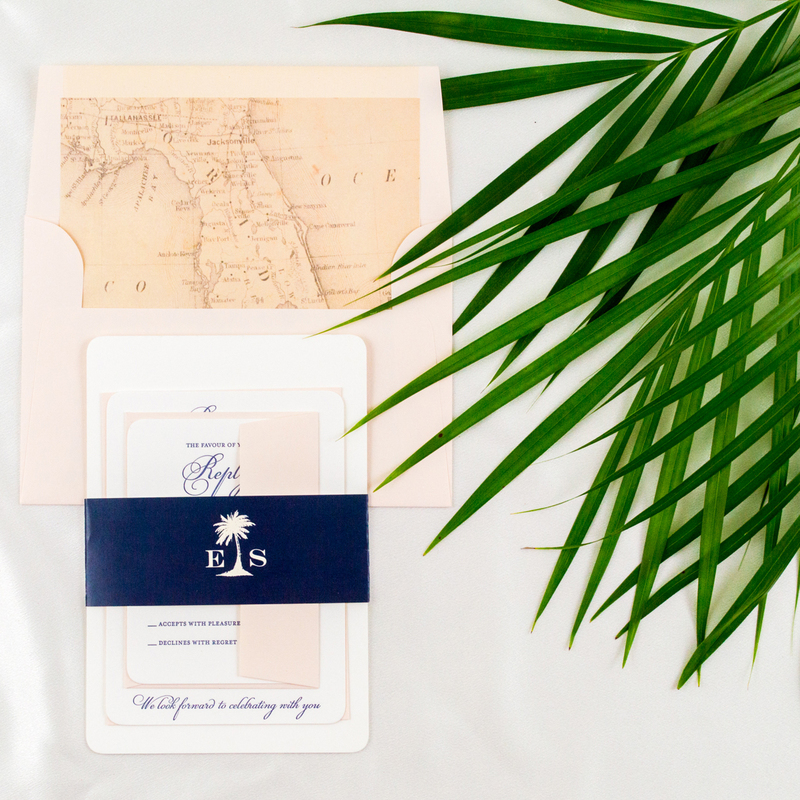 For the finishing touches, we personalized each outer envelope with a vintage Florida map and incorporate the palm tree monogram design into each bellyband. 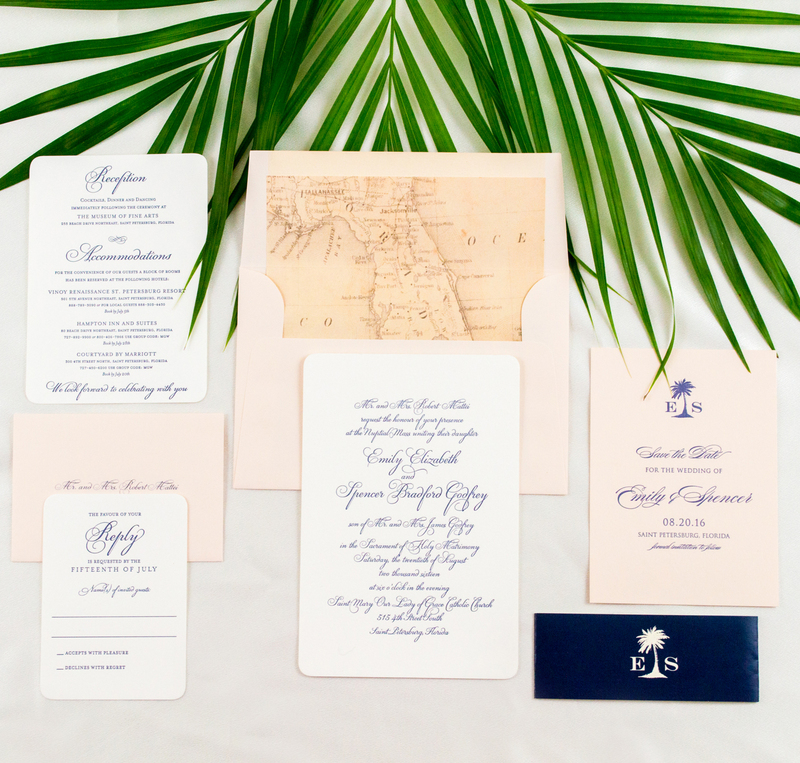 We really love how all of these details worked in perfect harmony to display this couple’s vision…undoubtedly perfect for a classy, Florida affair!